Bee Pollen granules tend to be the most popular way to consume bee pollen. Personally, that is how I prefer to take this fantastic superfood on a daily basis. For those who don't enjoy the taste of the raw granules or who travel often, it can also be found in capsules. If it's a matter of not taking bee pollen due to the inconvenience of bringing the bags or bottle of granules, it is definitely better to bring some capsules with you and at the very minimum use those until you can get back to taking it in granule form. Truthfully, to take bee pollen granules even when traveling, it is really not that difficult and doesn't take much planning. All you need is a small jar and a teaspoon! I've traveled with granules all over the world and even camped with them! At this point, I don't want to miss out on the wonderful benefits of this marvelous food even for a few days! How do I Take Bee Pollen? While extremely safe to take, bee pollen should still be introduced slowly into one's diet just to be on the safe side. 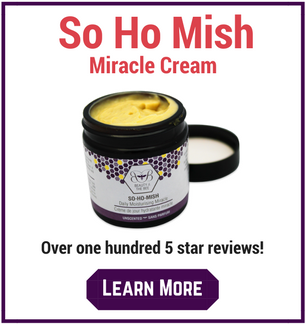 Bee product allergies, while extremely rare are not fun so it's best to error on the side of caution. Read my article on how to take bee pollen properly. 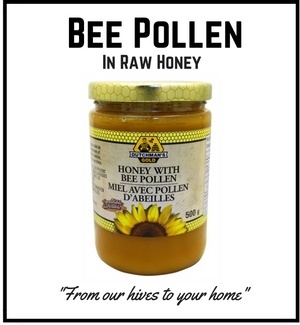 Now I have to be honest - most people who first start taking raw bee pollen supplements don't always agree with me. It does take some getting used too. 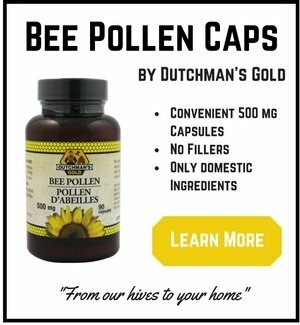 But if you're like many of the people that write me here on bee pollen buzz, then there is a good chance that you'll stop noticing what the bee pollen tastes like and actually start to look forward to eating it. People seem to develop a taste for the bee pollen without really realizing it. And the pollen begins to taste sweeter and sweeter. Not refined sugar sweet, but a nice, natural sweet. My only words of advice would be that if you don't enjoy the taste of bee pollen when you first start taking it, just give it time. It will come to you! If you just can't stand it and don't seem to be acquiring the taste, you can always use the capsules. There are some differences between raw bee pollen granules and capsules. I tend to be a big believer in the benefits of consuming raw, whole foods that haven't been processed, refined or over-cooked. 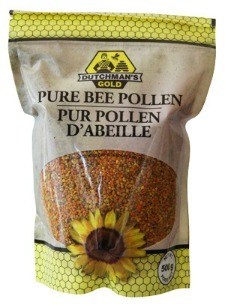 So, if at all possible, I recommend taking pollen in its most natural and unprocessed state - which is in granules. article on the differences between raw pollen and processed capsules. 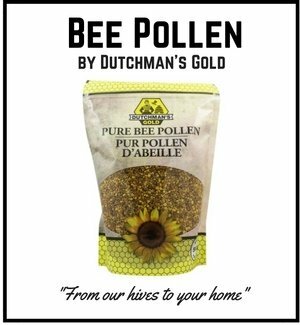 I would also recommend you know the source of your bee pollen. Bee pollen is an air cleanliness indicator and can absorb industrial pollution so it's important to know where your pollen came from and how it was handled upon harvesting. Once you've selected your source, learn how to take your granules properly so as to avoid any allergic reactions or side effects. Reports of side effects are extremely rare but I definitely recommend you follow our initial dosage guidelines. Work up to a tablespoon or two a day and begin enjoying the health benefits of the world's most nutrient dense food!